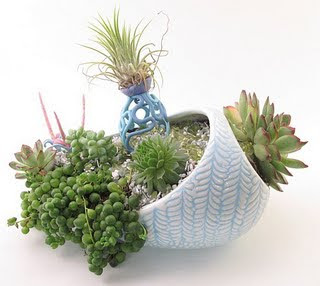 Here's a great Q and A at gotcraft.com with Thyrza Segal of Plantscapes- maker of very special terrariums and planters. If you are not familiar with her flair for the bizarre I encourage you to go check out her site. Check out our work at seedtostem.org !